Genius Hour is becoming a staple in many classrooms around the world. 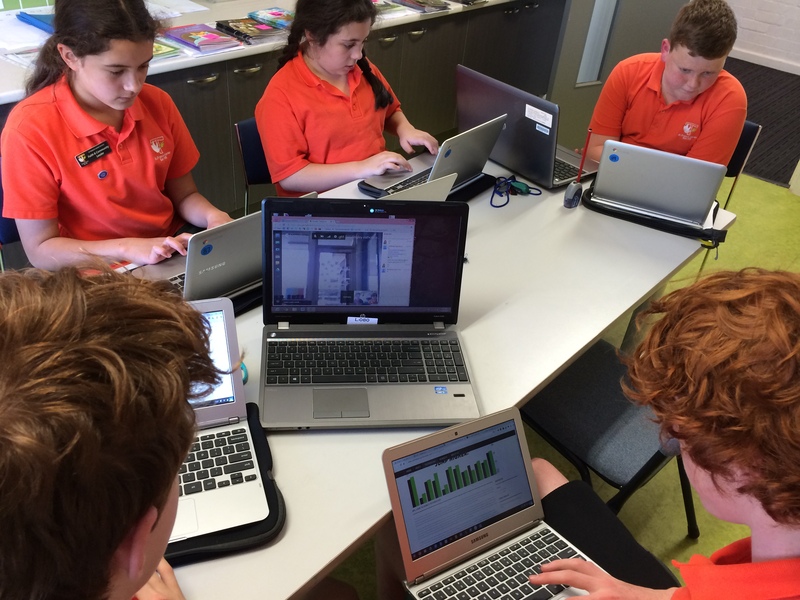 It allows students to take ownership of their learning and to work passionately on projects of their choice. Passion Projects and 80-20 Time are two other names that are commonly used to describe Genius Hour. The implementation of 80-20 Time in Google’s offices has led to the increased popularity of Genius Hour. At Google, employees work on Google based projects for 80% of their time, while 20% of their time they are allowed to spend on projects of their choice. Projects such as Gmail have been developed during this time. Through the implementation of Genius Hour in my classes over the last 2 years I have noticed the transformation of how my students approach their learning. It allows learning to be highly student focused and driven. They are fully engaged on their projects and employ an enthusiastic attitude, wanting to learn and produce work they are proud of. Students are learning and developing skills throughout their Genius Hour projects that can then be used in all other aspects of their schooling. As educators it so important that we are teaching students how to learn not what to learn. Our students need to become lifelong learners. Genius Hour promotes this thought process in our students. I allow my students 1 hour a week to work on their Genius Hour projects. Students are not allowed to begin their Genius Hour project until all other school work is completed. This has changed the dynamics of my class. I have found that students are now completing tasks within set times to have extra time to work on their Genius Hour projects. During the Question stage students need to be aware of what makes a good question. 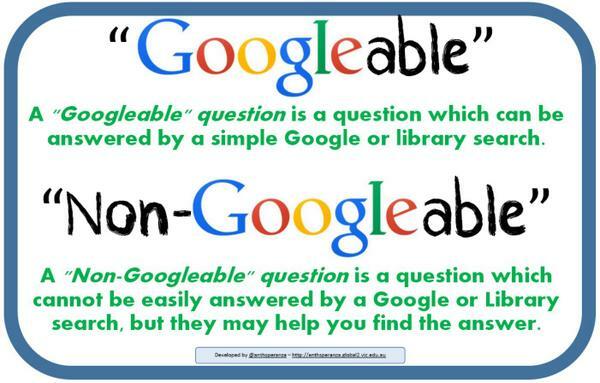 When students are developing their question I pose the phrase ‘Googleable vs Non-Googleable’. This is from NoTosh’s design thinking and takes into account the fact that we want students to create questions that can’t be answered by conducting a simple google search. We are looking to create questions that are ‘Non-Googleable’ so therefore require students to deepen their understanding of the topic through inquiry. Below is a visual +Anthony Speranza developed on this principle. How can we inform primary school children about Type 1 Diabetes? How can we make a motorised boat? How far can a golf ball travel? How much would it cost to go on our dream holiday? How can I teach kids about photography? 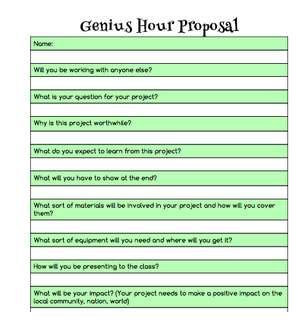 Once students have developed their Genius Hour question I ask them to write a proposal. This outlines key learning outcomes and ideas, allowing students to take into account not only the logistics, but also the purpose of their Genius Hour project and the impact it will have on the community. 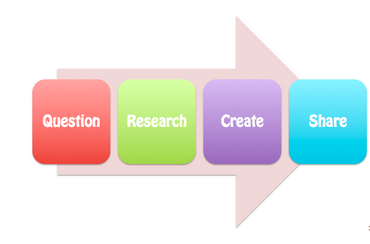 During the Research phase students investigate, explore and develop an understanding of their Genius Hour question. They use many resources including the internet, books, surveys, tests and experiments to gather information and data to develop their knowledge of their project. Students complete a ‘Weekly Reflection’ which guides their learning and allows them to reflect on the process of researching and set weekly goals. The choice is theirs. Embrace their decision and be amazed at the pride they show and quality of work they produce. This part of the process of is my favourite. Students are so proud of their work and this is evident when showcasing it for others to see. You can easily share students work within your class and school. Thanks to my eLearning Coordinator +Corey Aylen, we came up with the idea to broadcast the students presentations to a wider audience via a Google Hangout on Air. I invited our parent community and classes from around world to join our broadcast. This created such a buzz for my students. Knowing that parents, other teachers and students were going to be watching their presentations they made sure their motivated to produce the best work they could. The process of setting up a Google Hangout on Air is very straight forward. I ensured that my Hangout was set on Private and only guests who were invited were given the link to view it. Even if you could not tune in live it was uploaded to YouTube (unlisted) where I was then able share the video on our class Blog for others to watch. During the Google Hangout on Air I share a Google Doc with classes from other schools. As my students present, these other classes pose questions for each of my students. At the completion of all presentations, my students answer these questions live to their audience. The students love presenting their projects via Google Hangout. It makes their learning authentic and meaningful. Knowing the are presenting to over 200 people around the world builds such an exciting energy in the classroom. Genius Hour has transformed my classroom. I have noticed an increase in student engagement and their attitude towards learning. This term I wanted to continue to develop Genius Hour at my school. I wanted to see how far it can be taken. My students have already connected with a range of other schools from around the world through blogging, but I wanted to create a connection that was more meaningful than this. After speaking to +Anthony Speranza from another school in Melbourne, we decided to have students from each of our schools work collaborative on a Genius Hour project via the Google tools. This process is currently taking place with the students having already planned their Genius Hour Project for this term. 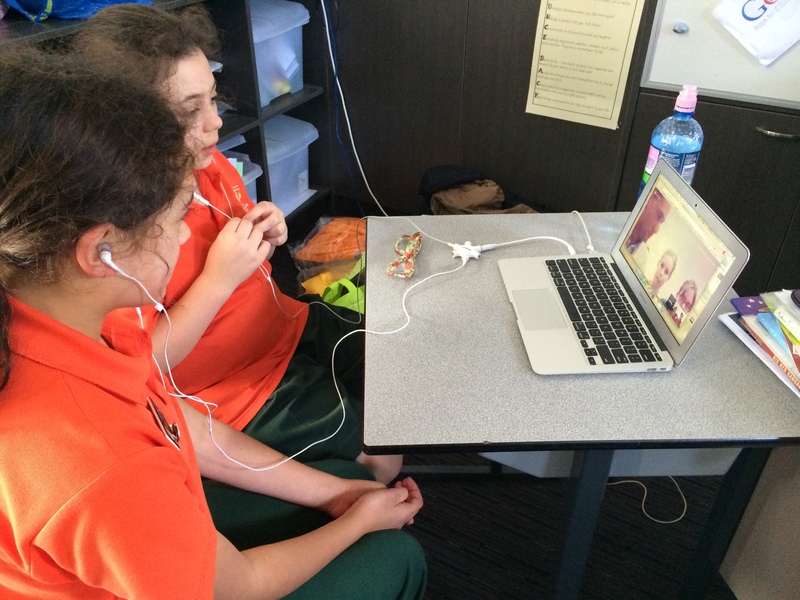 They have had a Google Hangout (led by teachers) where they got to meet each other. This process has been challenging for the students as they have had to learn how to effectively communicate and collaborate with others only using the Google tools. Genius Hour has changed not only my students approach to learning but also mine. I encourage educators to have a go and try out Genius Hour for yourself. Start small and be amazed. I am yet to hear of a student that does not love Genius Hour. How could they not love Genius Hour when they get to work on projects of their choice. I LOVE this post! It’s a great explanation of your process – can’t wait to share it with my colleagues. I’ve been ‘working’ on Genius Hour or Personal Inquiry Time (as we call ours) for the last 2 months with Year 2/3 class – chn are totally engrossed in ‘their” learning – shows just how valuable it is. Great post! Thanks for sharing all this information. It has really helped me to get a better structure to my class’ Passion Time. This post was great! I have a 2/3 with limited technology ATM, but have just started student led discovery time, fumbling my way through as we go. Kids love it, started with a question, but love the genius hour process and conectiveness to the world. Thanks for sharing! Passion projects always bring out the best learning. I am running an extension program next year, this may be a great framework, Your thoughts??? Just about to give it a go Eleni and can’t wait. Thanks for all the ideas.